Debating the Debates: Are They Worth the Hassle for Good PR? This is a conversation worth having, PR folks. In 1960, America was caught in the middle of tense political times. From the cold war with Russia to Fidel Castro in Cuba creating widespread panic in the states, this country wanted to do more than hear its national leaders — they wanted to see them. And so, the political veteran Richard Nixon and the youthful maverick John F. Kennedy met to speak about being Commander-in-Chief in the first-ever televised presidential debate. More than 77 million Americans averaged the span of four debates via TV — that was 60 percent of the U.S. adult population at the time. 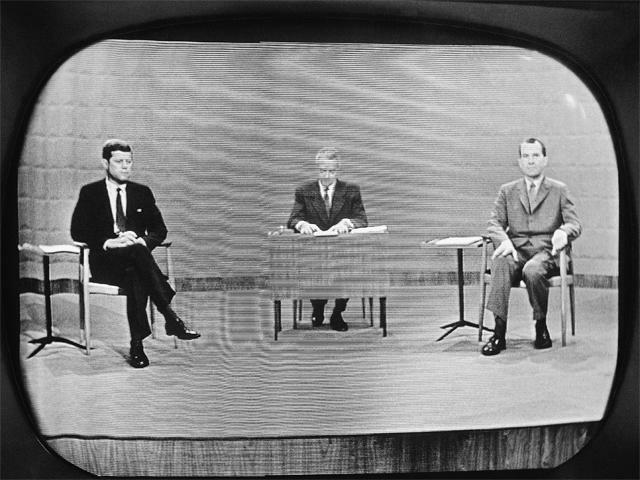 The next televised presidential debate wouldn’t take place for 16 years, largely because candidates became wary of their influence. Lyndon B. Johnson was too intimidated by the medium to take on Barry Goldwater in 1964, and Nixon, having been burned before, refused to debate on TV in both 1968 and 1972. Televised debates reemerged 1976, when incumbent president Gerald Ford agreed to take on his Democratic challenger, Jimmy Carter. They’ve been standard practice in each campaign season since. PRNewserverse, we can clearly see that the presidential debates are about scoring a PR win, in the hopes of getting an election win later. That said, do presidential debates matter any more? Each debate in the 2016 sweepstakes has been less about policies that will affect the U.S. people, and much more about memorization skills, name calling, finger pointing, and subtweeting. You have Ted Cruz banging on the podium like Woody Woodpecker. Hillary Clinton comes across like the old woman neighbor who hates everyone instead of a serious contender for the White House. Then there’s Marco Rubio with memorized talking points clearly practiced in front of the mirror. Bernie Sanders has his ‘Get off my lawn’ diatribes. And then there’s Donald Trump, making the whole process a reality show. In short, PR points started being a part of the electoral process as soon as a visual connection was made. Before that, it was about qualifications, resumes, and achievements in the political circle. Then came TV and people were swayed to vote for the guy who spoke eloquently and had a certain swagger versus the other guy, whoever the hell that was. From Kennedy to Obama, the more things change, the more they stay the same. And how’s that working out now, America?